Most people know that living an organic lifestyle is healthy, but it's easier said than done. If you want to go organic, doing so gradually and starting with high-impact changes can make the process easier. Living an organic lifestyle is about more than the food you eat. It impacts the products you buy for your home, personal care, and even your clothes. Transitioning from a non-organic to an organic lifestyle can be intimidating. Start with changes that will benefit your health the most. 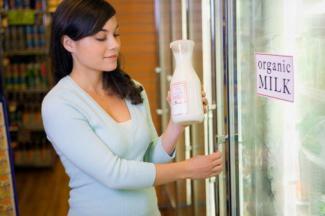 To live an organic lifestyle, you need to understand organic labeling. When buying organic food or products, don't be fooled by creative marketing. Labels that say, "all-natural" may be anything but, and this can be misleading to consumers. 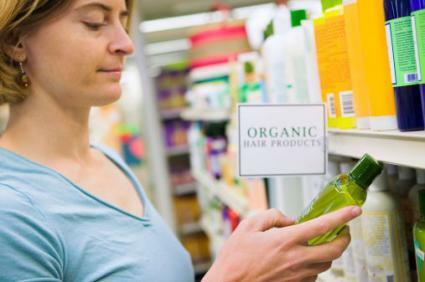 According to a report by the Center for Science in the Public Interest (CSPI), consumers may believe products that claim to be "all-natural" must be wholesome and nutritious. They may also think "natural" products are organic when in fact, many contain artificial colorings and/or chemical preservatives. CSPI also calls out products that claim to be natural yet contain high fructose corn syrup (HFCS). They say HFCS is not natural since "its made through a complex chemical industrial process." Certified Naturally Grown: Community supported agriculture (CSA) and small local grocery stores often seek this certification which is based on USDA organic standards. California Certified Organic Farmers (CCOF): CCOF certifies farms, restaurants, retailers, processors, livestock operations, and private handlers. They also help to educate, advocate, and promote organics. Oregon Tilth: Oregon Tilth offers certification for organic commercial crop and livestock producers, handlers, marketers, restaurants, and retailers. Every year, the Environmental Working Group (EWG) publishes its "Dirty Dozen," a list of foods that have the highest pesticide content. They recommend eating organic versions of these foods. 2015's "Dirty Dozen" includes apples, celery, cherry tomatoes, cucumbers, grapes, nectarines, peaches, potatoes, snap peas, spinach, strawberries, and sweet bell peppers. Kale, collard greens and hot peppers also made the list. When it comes to drinking organic or non-organic milk, the choice is clear. Cows that produce non-organic milk may receive synthetic hormones and antibiotics, and feed on genetically modified grains laden with pesticides. Cows that produce organic milk do not receive hormones or antibiotics and are often grass fed. Although both milk varieties are pasteurized which reduces nutrition value, according to an article by natural health practitioner Dr. Joseph Mercola, organic milk is the better choice. Better yet, Dr. Mercola recommends purchasing organic raw milk if it's available. Since it's assumed you swallow what you put on your lips, it makes sense to use organic lipstick and lip care products. The Food and Drug Administration (FDA) confirmed over 400 lipsticks contain various amounts lead, but UC Berckley School of Public Health researchers took things a step further. They determined 32 popular lipstick and lip gloss brands contained the heavy metals titanium, aluminum and manganese. With normal use, ten products exceeded acceptable chromium levels. With heavy use, 22 products exceeded chromium levels, 10 exceeded cadmium, 7 exceeded manganese, and one aluminum. Twenty-four products contained lead, a metal UC Berckley researchers believe to be unsafe in any amount. Avoid the risk by using organic lip products. If you think baby care products are free from toxic chemicals, think again. The Campaign for Safe Cosmetics (CSC) indicates on its website that baby soap, shampoo, conditioner, body wash, lotion, wipes, oil and sunscreen may contain dangerous ingredients. These include but are not limited to formaldehyde, 1,4-Dioxane, fragrance, parabens, and phthalates. According to the CSC, formaldehyde is carcinogenic and parabens disrupt the endocrine system. Fragrance is proprietary and may include a cocktail of synthetic ingredients. Remove any potential risk of these ingredients negatively impacting your baby by using organic baby products. According to the National Pesticide Information Center, "infants and children are more sensitive to the toxic effects of pesticides than adults." To give your child the best possible start in life, choose organic baby food, which is grown without synthetic pesticides, antibiotics or hormones. 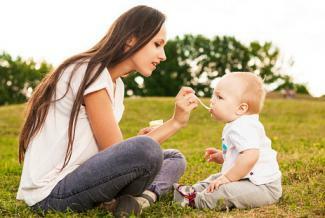 Organic baby food is also made without artificial colors, preservatives or fillers. Synthetic cleaning products contain a multitude of chemicals that release toxins into the air. These are easily inhaled and bad for the environment. The Environmental Protection Agency (EPA) states on its website that volatile organic compounds (VOCs) are chemicals found in cleaning supplies, air fresheners and other products. VOCs may cause cancer. They cause irritation of the eyes, nose and throat, headaches, nausea, and may damage the liver, kidneys, or central nervous system. Make your home healthier and lessen your environmental footprint by switching to organic cleaners. They use essential oils and natural ingredients to clean and disinfect. Organic options are available to purchase for everything from dish detergent to all-purpose wipes. You can also make your own organic cleaners. One way to add more organic food to your diet is to grow and preserve it yourself. According to an article on the David Suzuki Foundation's website, growing your own food lessens the transport time required to get it to table and is a "better choice for the climate." It also allows you to grow food without chemical pesticides, which helps reduce soil contamination and water pollution, and is less harmful to wildlife. All you need to create an organic garden is a small plot of tilled land, organic seeds and a little TLC. If space is limited, you can grow vegetables in containers. Keep your crops organic by using natural pesticides. After harvesting, preserve any leftovers by canning or freezing. The Pesticide Action Network North America states on its website that "nearly 2.6 billion worth of pesticides are sprayed on cotton fields each year." They go on to say that these pesticides cause harm to farmers and farm workers, wild and domestic animals, and crops and eco-systems. 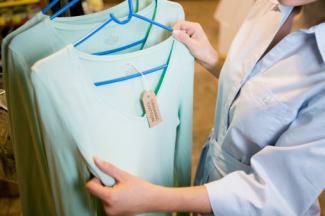 It may not be reasonable to update your entire wardrobe at once with organic clothes. But when it's time to replace a piece of clothing, look for organic fabric alternatives such as cotton, hemp, linen or bamboo. According to the Rodale Institute, cotton is thought to be the "world's dirtiest crop" because of its high pesticide content. In addition, toxic chemicals are used to process non-organic cotton textiles. Switching to an organic lifestyle is simply a matter of educating yourself about organic options and choosing them over their conventional counterparts. Once you understand the benefits of going organic, you'll discover how small changes have a major impact on your health and the environment.